While it has been on the market for 15 years, the Prius has never lost its spot at the top of its class. The newest 2016 Toyota Prius is offering more reasons than ever to make the switch to true fuel economy. Check out the many Prius trims at Gloucester Toyota dealer serving Yorktown VA. Earning 54 mpg in city driving, the Prius has upped its game. It continues to outclass all hybrid rivals by 5, 10 or even 15 miles per gallon in city or highway fuel economy. This year the Prius has found a new way to conserve energy. The HVAC system can be programmed according to who is in the car. If the back seat is empty, the system knows that it only has to keep the front seat occupants cool. This reduces how much power it uses and makes it more efficient. Only the Prius hybrid is offering intelligent clearance sonar. this system senses more than other vehicles. It can warn you about walls and lampposts. A true crash avoidance system, it will either reduce throttle or brake the car to help you. Even better, the Intelligent Parking Assist can do the work, carefully steering the Prius into a parking spot. Potential collisions and pedestrians can trigger an alert. If this goes unheeded, the Prius itself will put on the brakes. The lane departure alert also has an assist feature. Learn about pricing. 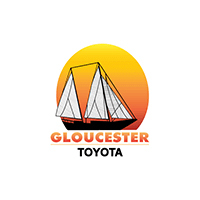 Find the Prius now at Gloucester Toyota dealer serving Yorktown VA. You can get pre-approved with this easy online application.